Organic produce costs as much as 40 percent more than conventional produce, according to Colorado State University. Deciding which produce items to buy organic is important, for both your wallet and your health. The Environmental Working Group reports the conventional produce containing the highest level of pesticides in their annual publication, the Dirty Dozen. Biting into a fuzzy, sweetly flavored peach is one of the pleasures of summer, but stick to only organic peaches. Conventional peaches were No. 1 on the Dirty Dozen list in 2009, and No. 2 in 2010. They contain 62 pesticides when produced conventionally. 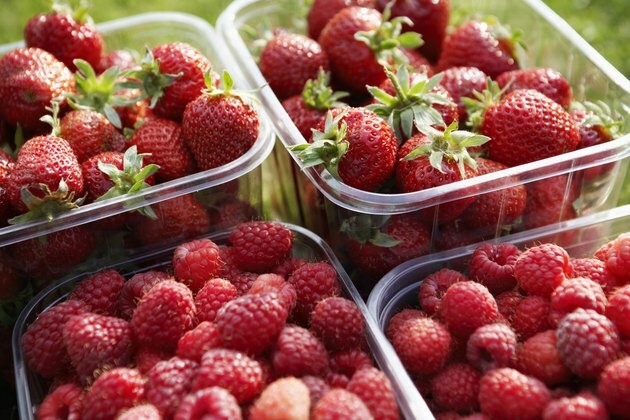 Strawberries have a thin, porous skin and are frequently imported from developing countries where lax regulations allow a high pesticide spray level. 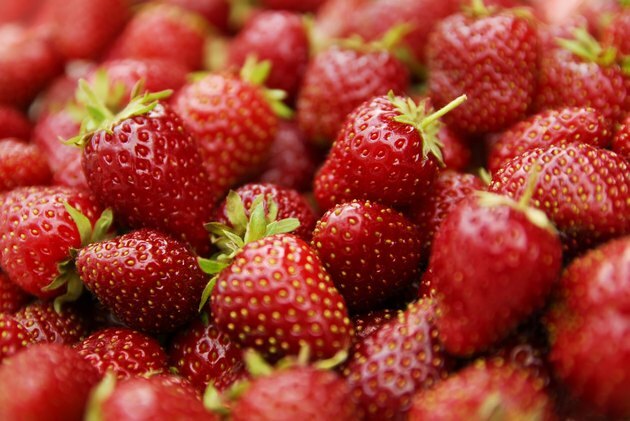 The laboratory tests for the Dirty Dozen found that strawberries contained 59 pesticide chemical types. 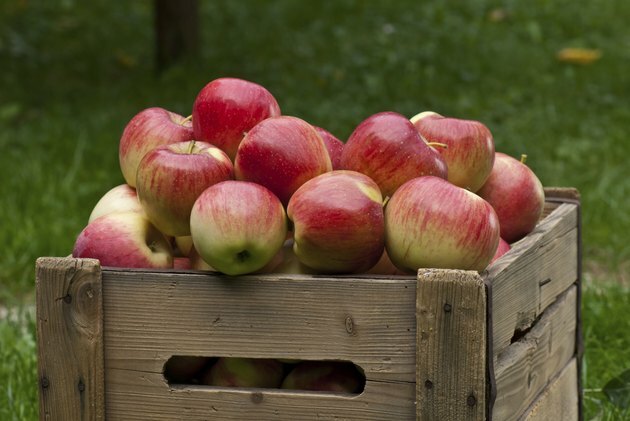 The peel of conventional apples contains the highest level of pesticides, but it also contains the nutrients. Instead of peeling apples, opt for purchasing the organic variety to avoid the 42 pesticide chemicals found in non-organic apples. Blueberries are an additional berry type that contain a high level of pesticides. The thin skin allows the chemicals to enter the fruit's flesh. Buying blueberries organic is the safest option. 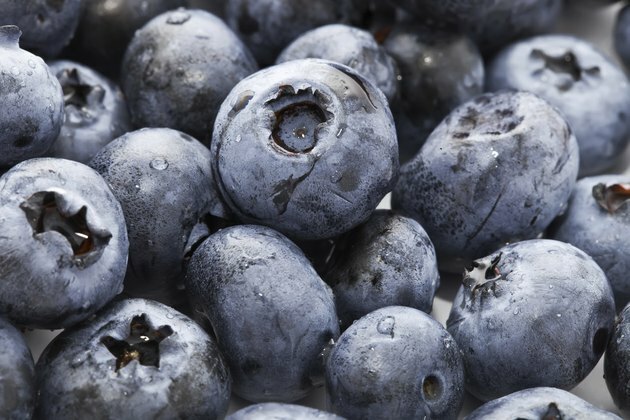 Conventional blueberries contain 52 pesticide chemicals. 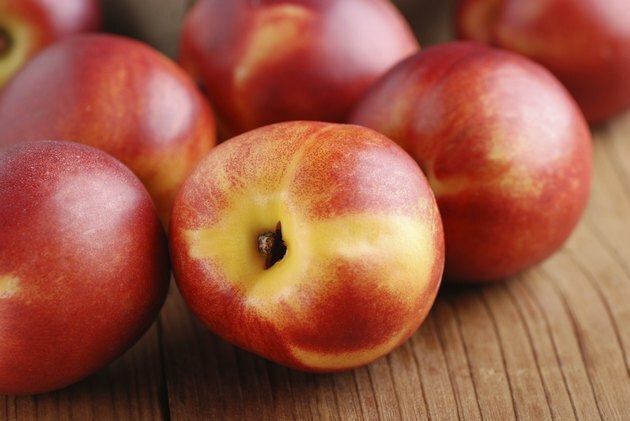 Nectarines are a close relative of the peach, which may be an easy way to remember that both fruits should be purchased organic. 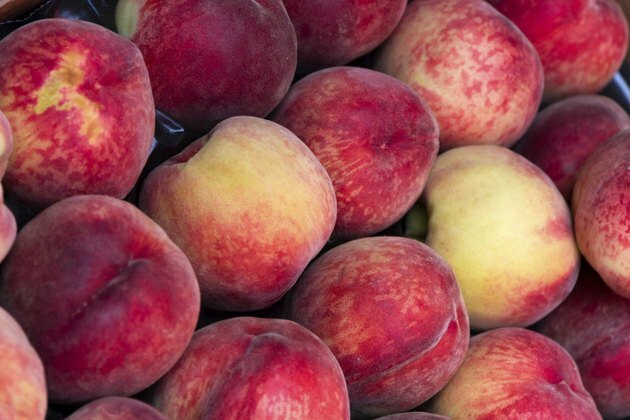 Nectarines contain about 33 chemical pesticides, according to the Dirty Dozen list. Domestic cherries contain a particularly high level of pesticide residue compared with imported cherries. 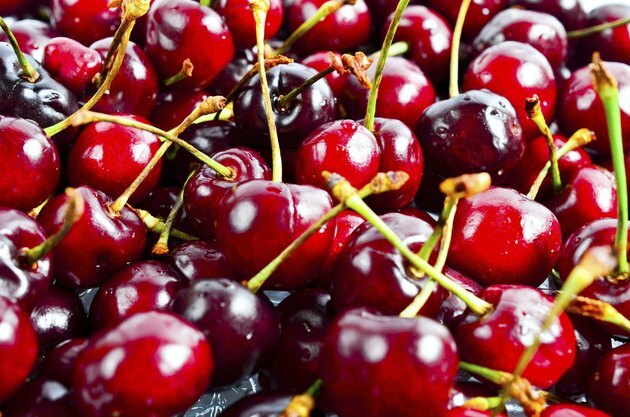 Purchase organic cherries to avoid the chemicals and benefit from their qualities, such as vitamin C and fiber. 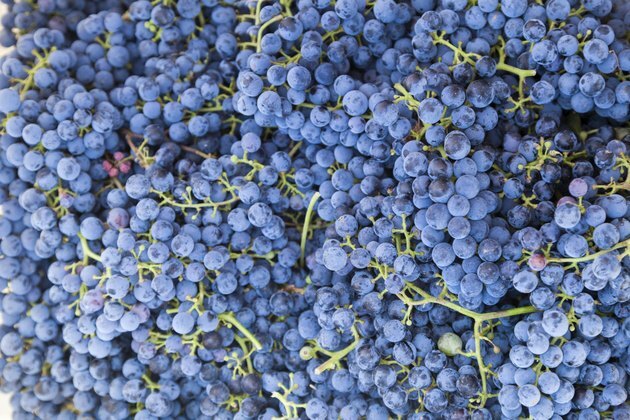 The Environmental Working Group discovered that imported grapes have a particularly high concentration of pesticide residue and should be avoided. They contain about 34 chemicals. 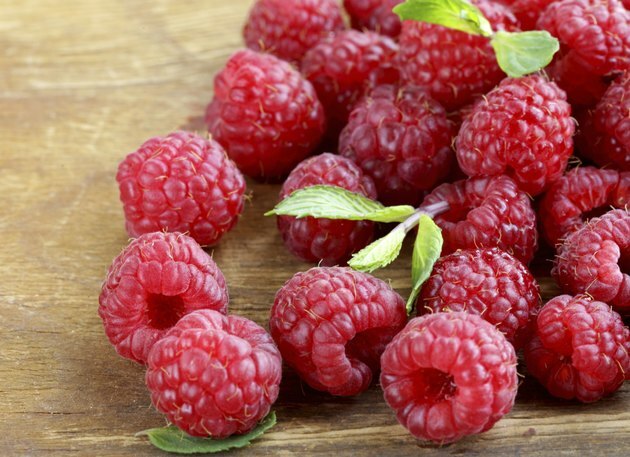 Raspberries are a healthy addition to the diet because they are high in fiber and vitamins, but the thin skins make them vulnerable to chemical absorption. Purchase organic versions. 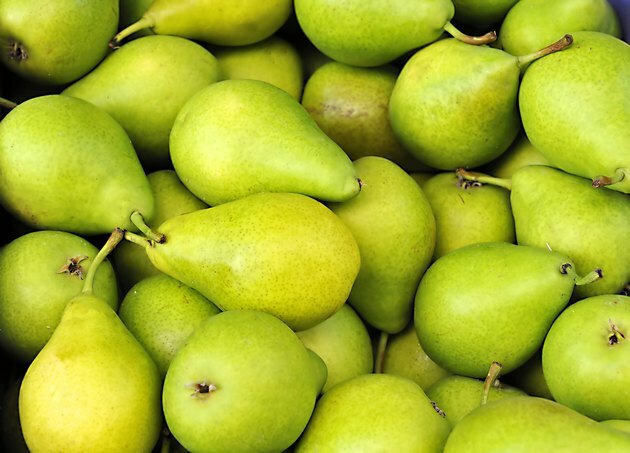 Conventional pears contain 28 chemicals. Buying organic pears is particularly important for pregnant and breastfeeding women, because pesticides interfere with normal growth and development. 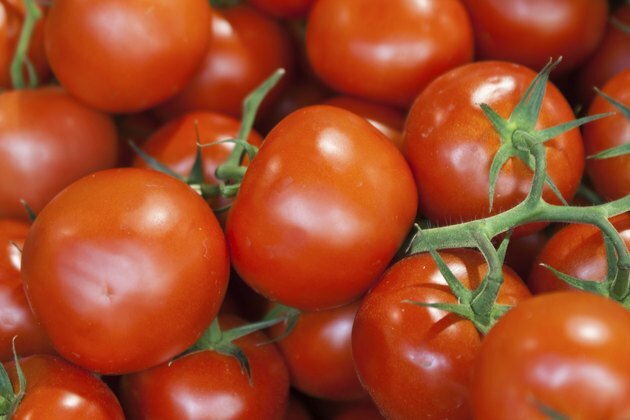 Tomatoes are a popular thin-skinned fruit that absorb any chemical sprays applied to them during production. To avoid consuming chemicals, always buy organic tomatoes. Environmental Working Group: When Should You Buy Organic? Can You Eat Apple and Pear Skins?